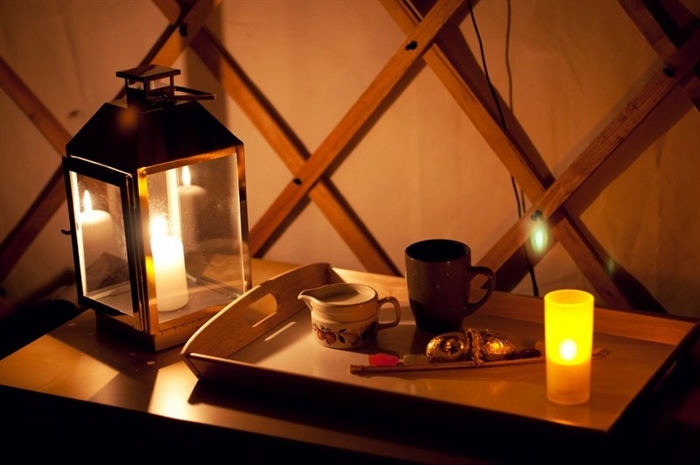 The three 18' Trossachs Yurts are set in woodlands on West Moss-side Organic Farm. Each sleeps two in total luxury or four comfortably. Total seclusion yet just 1 mile from the village of Thornhill and the Trossachs on the doorstep. 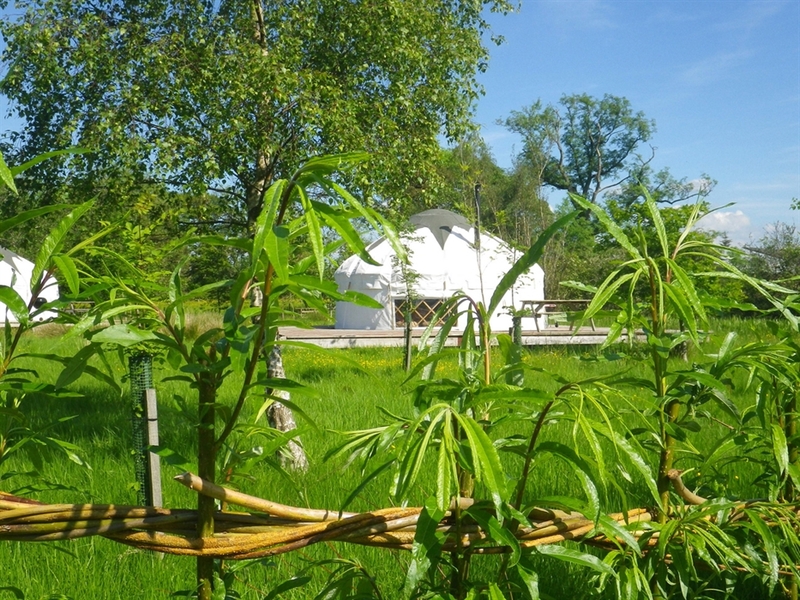 The three award winning Trossachs Yurts are set in the orchard and woodland of West Moss-side Organic Farm. Just an hour or so from Glasgow and Edinburgh yet you will find seclusion and dark skies. The village of Thornhill is just over 1 mile away and has a shop and excellent pub/restuarant. Just 15 minutes from Callander and the Trossachs means there are walks, paddles, and cycle routes for the active guests and lovely coffee stops, cafes and resturants of all sorts. Plenty for the children too and indoor options for the days when the weather is not behaving. 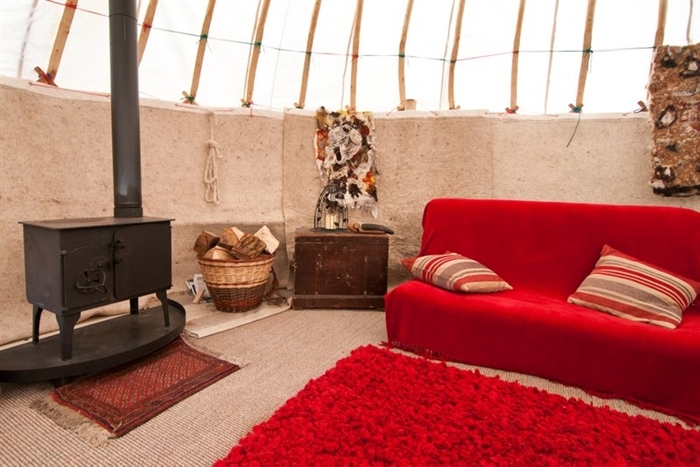 However, on those days you can curl up with a good book or a board game in front of the fire in the yurt. A wood burning stove and the felt wall linings keeps them cosy at all times of the holiday season, although they are not available in the winter. They are equally special for that get away from it all romanitic weekend or a place where the children will be enchanted explore the woodland, meet the Shetland cattle and be close to the wildlife. The yurt sleeps 4 adults in 2 double beds or a family of 5 where the fifth is a child on a sleeping mat. 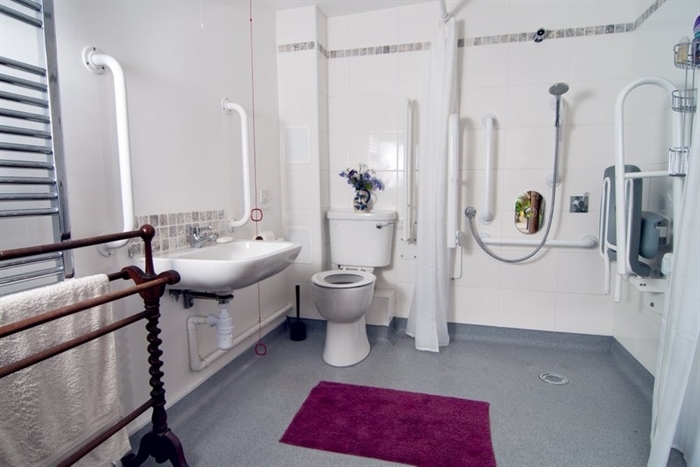 Stuc a'Chroin is fully accessible and Ben Lomond welcomes well behaved dogs. 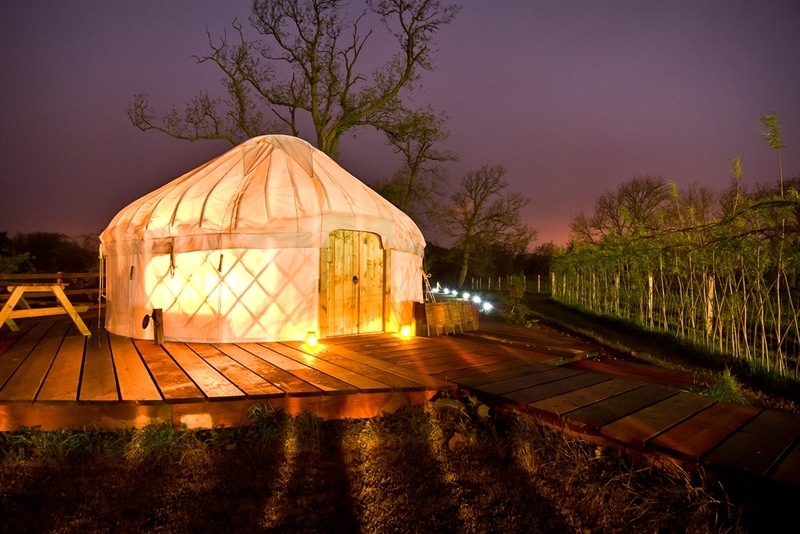 Trossachs Yurts is the very best in Scottish agritourism. You can sample the organic Shetland beef - barbeque the steaks, burgers and sausages or slow cook stews in the wood burning stove. Home made breads and local eggs are also available to make your stay just that bit more special.